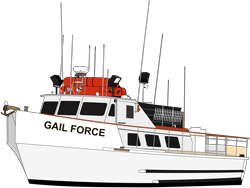 The Gail Force is 55 feet long and 18 feet wide; is Coast Guard inspected and certified for up to 45 passengers. She was originally built as a crew boat for the THUMS Oil Islands in the Long Beach Harbor. After providing years of reliable service with THUMS she was sold and became an excursion boat running out of 22nd Street Landing for several years. She is 60′ long with a beautiful 20′ beam. She boasts a giant 180 scoop bait tank, side scan sonar, large RSW fish hold, 30 bunks, a freshwater maker and all the other necessities to make her a comfortable fish killing machine. 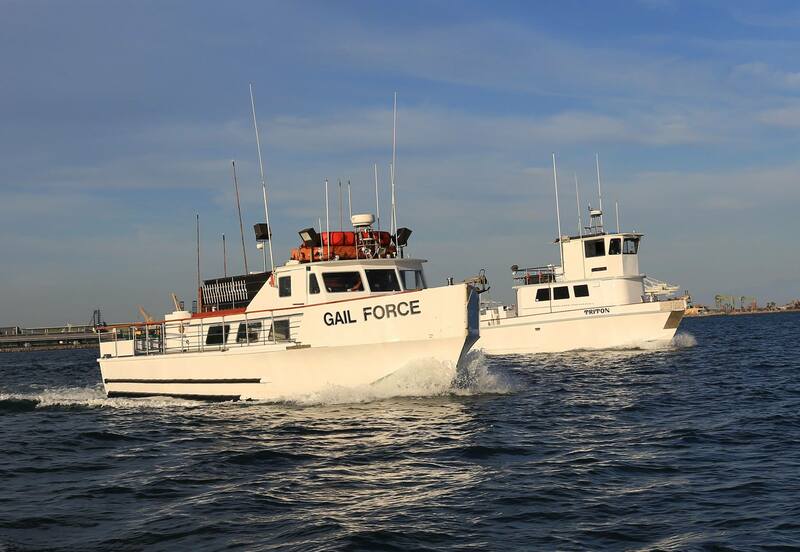 Overnight she is licensed for 22 anglers and on day trips licensed to carry 41 anglers. 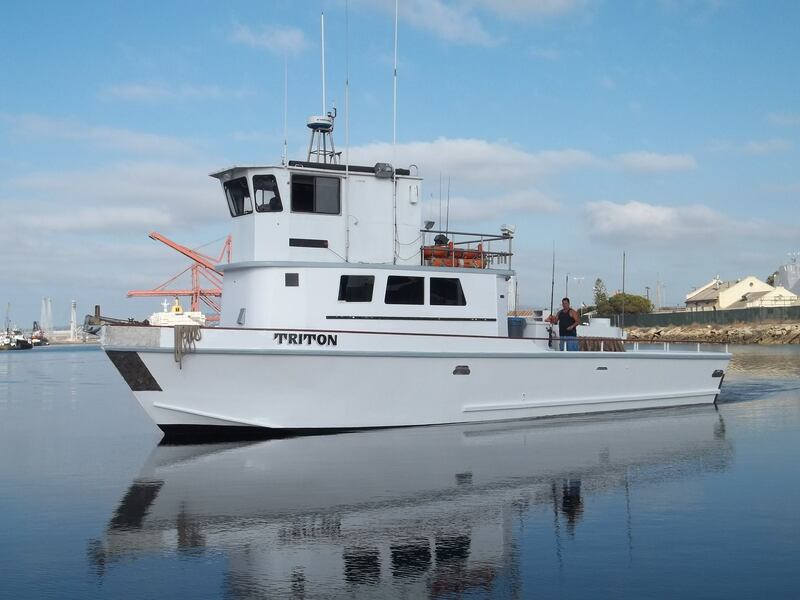 Triton will operate 1/2 day to 2-day fishing trips out of L.A. Harbor Sportfishing in San Pedro, Ca. 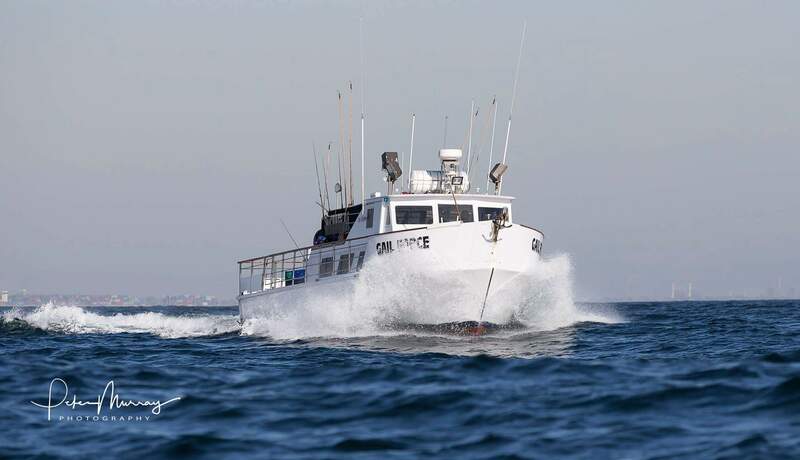 The Gail Force offers private fishing charters year-round, with our primary fishing season being May-through September. 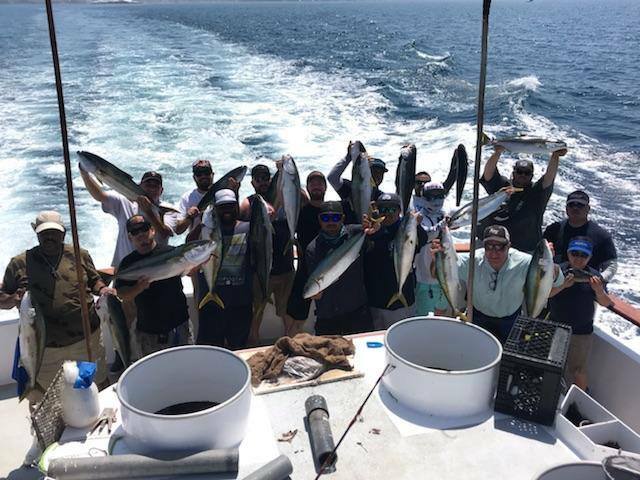 We can fish as far South as Dana Point and as far North as Point Dume with most of our season spent 23 miles across the Pacific fishing the bountiful waters of Catalina Island. Every year we start to fill our calendars earlier and earlier, now is the time to talk to your group, pick out a day and give Ryan a call. A $500 deposit is all it takes to get your date set in stone. Prime dates especially the weekend are filling up! Don't wait to long and miss out on what looks to be another EPIC season! The crew of the Gail Force and Triton can't wait to see all our loyal groups once again! We also look forward to meeting alot of new ones too. 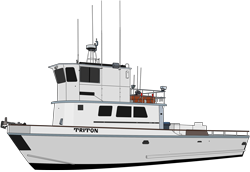 Gail Force - Triton Sportfishing, © 2019.